Can You Die From an Opium Overdose? Can You Overdose on Opium? Like other opioids, an overdose on opium can be fatal if not treated quickly. Recovering from an opium overdose may include seeking addiction treatment to avoid further overdoses and other serious health consequences. Symptoms and signs of overdose. Recovery options for an overdose. Who Answers? to learn about types of recovery programs for opium or other drugs. Blue or purple lips or nails. If you notice these symptoms in another person or believe you may be overdosing, call 911 as soon as possible. It is helpful to tell 911 operators the person’s weight and the exact substances he or she used, along with any medical history. However, if you are not able to get this information, don’t let it delay you seeking help. If the person is not breathing, begin CPR while you wait for EMS to arrive. Naloxone(Narcan) is a medication that is an antidote to opioid overdose . It can be given to reverse the effects of an overdose on any opioid, including opium, heroin, oxycodone, methadone,morphine, or others.5 Naloxone is very effective when given quickly. A breathing tube and ventilator to maintain adequate oxygen exchange. Activated charcoal to absorb any remaining substance(s) in the stomach. 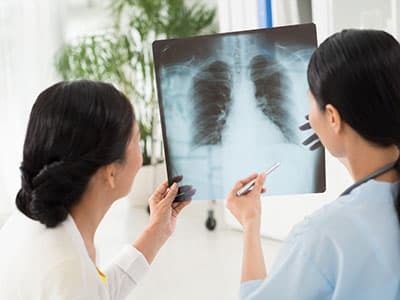 Chest X-ray to check for pneumonia. EKG to check heart functioning. Overdosing on opium can be fatal. 11 Opium overdoses are very similar to overdoses on other opioids, and outcomes can range from no long-term effects to death. Sometimes, as a result of respiratory depression, people who overdose on opium can suffer from hypoxic brain injuries, or an injury to the brain from being deprived of oxygen.6 Fast treatment can minimize long-term harm from an opium overdose. People can survive and recover from an overdose on opium if they receive timely treatment. If you have survived an opium overdose, this may be a sign that you have an opioid use disorder. If you think you have a problem, it is crucial to seek treatment. Detox. The first step of treatment is usually detox, where you will be medically supervised through withdrawal. Opioid withdrawal can be very painful and make a person very ill, and medical supervision can help manage these symptoms. Inpatient recovery programs. Inpatient or residential treatment may last from a few weeks to a few months. These programs help you learn important skills, such as relapse prevention, to aid in building a life free from opium addiction after you complete treatment. Many programs begin with detox, which is followed by individual and group counseling, 12-step meeting attendance, wellness activities, and aftercare planning. Partial hospitalization. Partial hospitalization or day treatment programs are typically 3-5 days per week for about 5 hours per day and include group therapy sessions, skills groups, and often meetings with a psychiatrist or other medication prescriber. Intensive outpatient. Intensive outpatient or IOP is another form of outpatient opium recovery. These programs usually meet 3 days per week for about 3 hours at a time. They include group counseling, individual therapy, and family therapy. Medication-assisted treatment. Many people who are addicted to opioids benefit from medication-assisted-treatment, which includes medications such as methadone, buprenorphine, or naltrexone. These medications are prescribed by a medical provider and are combined with behavioral therapy. The medications can control cravings and help people safely detox from opium. Dual diagnosis rehab programs. If you have a substance use disorder and a co-occurring mental health disorder, it is crucial to have these treated simultaneously, as untreated issues can lead to relapse. Dual diagnosis programs specialize in identifying and treating co-occurring disorders. 12-step programs. 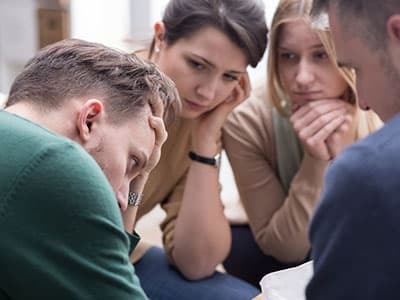 Support groups such as 12-step programs can be a source of ongoing support and a pathway to long-term recovery for many. These include spiritually based programs such as Narcotics Anonymous as well as secular programs such as SMART Recovery. If you or someone you love needs help recovering from an opium overdose or addiction, our recovery support specialists can help. Call 1-888-319-2606 Who Answers? today and begin your journey to sobriety.
. Booth, M. (1996). Opium: A history. New York: St. Martin’s Griffin.
. Streetdrugs (2011). Streetdrugs. Long Lake, MN: Publishers Group.
. Drug Enforcement Administration. Opium.
. Cowell, A. (1998). The opium kings. PBS Frontline.
. World Health Organization (2014). Information sheet on opioid overdose.
. Veilleux, J. C., Colvin, P. J., Anderson, J., York, C., & Heinz, A. J. (2010). A review of opioid dependence treatment: pharmacological and psychosocial interventions to treat opioid addiction. Clinical psychology review, 30(2), 155-166.
. Grigorakos, L., Sakagianni, K., Tsigou, E., Apostolakos, G., Nikolopoulos, G., & Veldekis, D. (2009). Outcome of acute heroin overdose requiring intensive care unit admission. Journal of opioid management, 6(3), 227-231.
. Taheri, M.S., Hassanian-Moghaddam, H., Birang, S., Hemadi, H., Shahnazi, M., Jalali, A.H., Shakiba, M., Nahvi, V. (2008). Swallowed opium packets: CT diagnosis. Abdominal Imaging 33: 262.
. National Library of Medicine Medline Plus. (2015). Opioid intoxication.
. Stephens, E. (2016). Opioid Toxicity Treatment & Management.